Daily To-Do space for self and family. Telephone address pages for contact information. Space for future planning and special events. Tabbed monthly sections with one month per spread. Daily To-Do space for self and family. Telephone address pages for contact information. Space for future planning and special events. 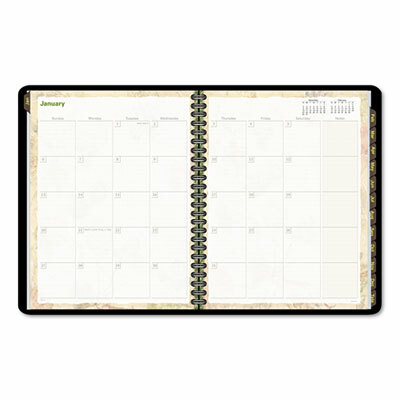 Tabbed monthly sections with one month per spread.